Chin up. This is not the end. I have followed and analyzed most of Liverpool’s matches this season and I have found a constant in their success. You. Many would blame our captain for the mistake that cost us the game against Chelsea but if I am much mistaken, you blame yourself. Don’t. You cast aside pragmatism and believed in your philosophy and your players. You are a rare breed. A draw is not a win. Don’t let anyone tell you any differently. The mark of a champion is to rise from the ashes of defeat. You of all people would have learned the most from this game. You would have seen beyond the tactical discipline of a team structured to frustrate yours, that if this happens again, you will be prepared. And you will be ready. Take heart from watching the great managers of past, who stood helplessly by, while victory was stolen from their grasp at the very last second. They came back. They fought and they won. So will you. And that is the true measure of greatness if it can be measured at all. Perseverance. Don’t descend to the lower depths of morality. As you have been gracious in winning, be magnanimous in defeat. To those who stand at the opposite end of the moral spectrum nothing bothers them more. This is the true mind game. Believe me. As you have not allowed your relative success to breed in your head, don’t allow the imposter called defeat to lay shackles in your mind. Rebuild the ramparts around your psyche. Reforge your weapons. And then come out blazing. We are with you. And I promise you this, you will never walk alone. 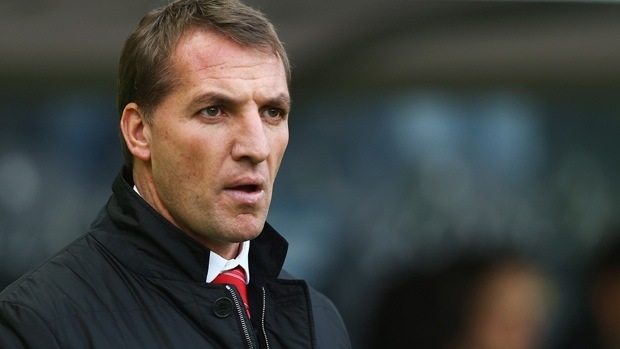 This entry was posted in Uncategorized and tagged brendan rodgers, liverpool. Bookmark the permalink. A moral uplifting message. I second that. Couldn’t have put it better myself. Two games from Destiny. It’s what he does best after all. Great season anyway you look at it.